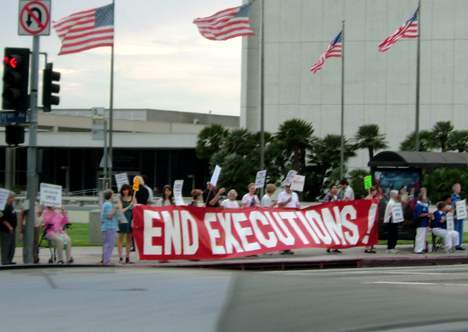 LOS ANGELES, September 28, 2010 – Death penalty opponents held a rally at the Westwood Federal Building this past Tuesday. 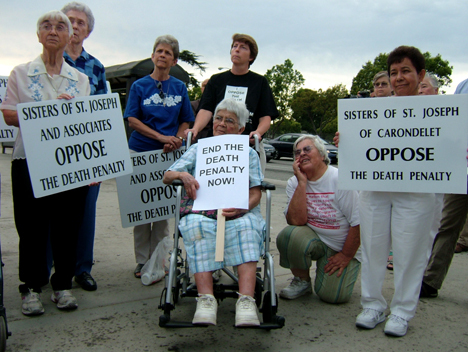 The rally was called to oppose the threat of renewed executions in the state of California. 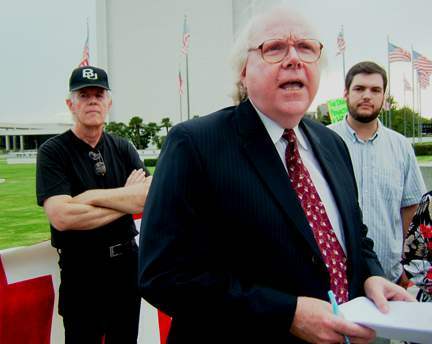 About an hour after the rally the news came that a federal judge has blocked the scheduled execution of Albert Brown, saying he needed more time to determine if the state’s new lethal injection procedures are free of pain to the condemned. Then the following day on Wednesday the California Supreme Court also moved to block the execution over the issue of procedure. 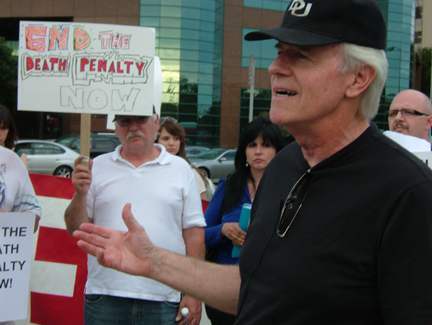 There is still a threat of state executions resuming soon as the court rulings are based solely on the procedural methods of execution and not the constitutionality of the death penalty itself. The legal wrangling over the execution’s procedures is for most death penalty opponents not the main issue. For death penalty opponents the state has no right by any process or procedures to take the life of any one of its citizens. 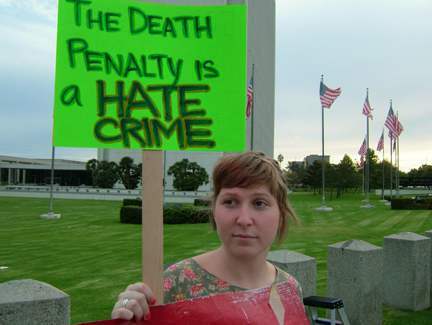 Many at the rally also expressed a moral and faith based opposition to the death penalty. About 30 people took part in Tuesday’s rally.